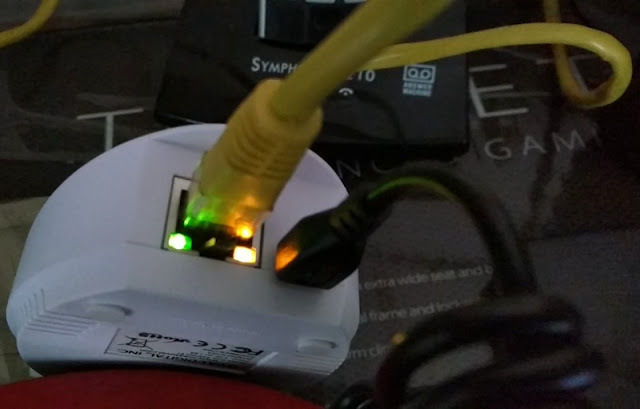 With gadgets today, one can never know for sure whether they are watching you or eavesdropping on your conversations without your permission. 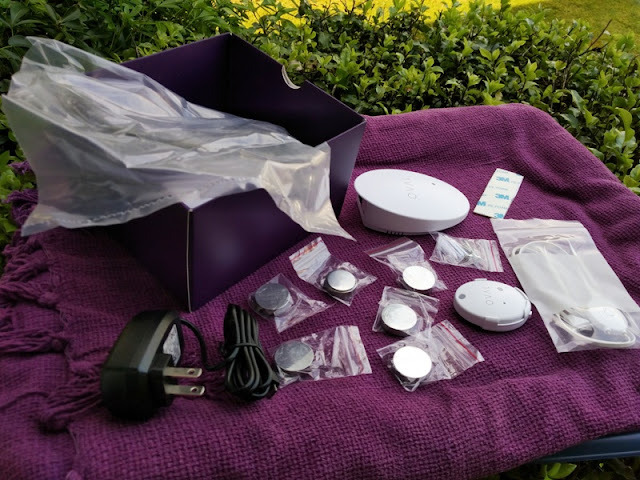 And, it isn't a conspiracy theory either because Amazon has recently reported that they will program Alexa to eavesdrop on conversations to give shopping suggestions. 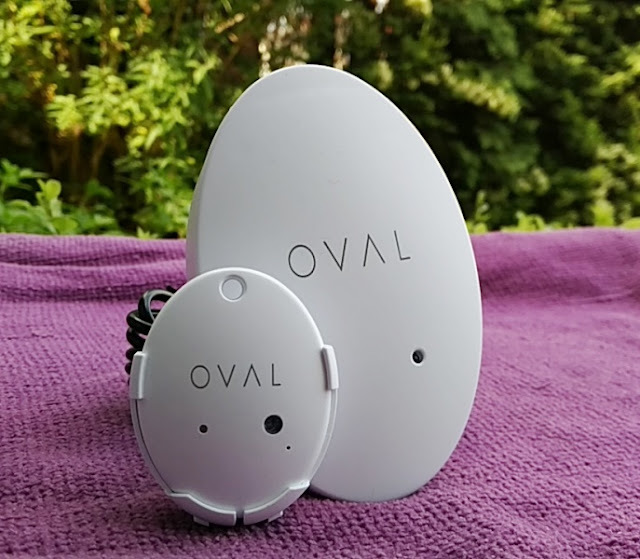 If the idea of being spied on by your gadget puts you off wanting to get a home security solution, you should consider a home security system like the OVAL 2.0 that doesn't have "eyes and ears" and won't store your privacy data permanently nor send the data to an unknown third-party. 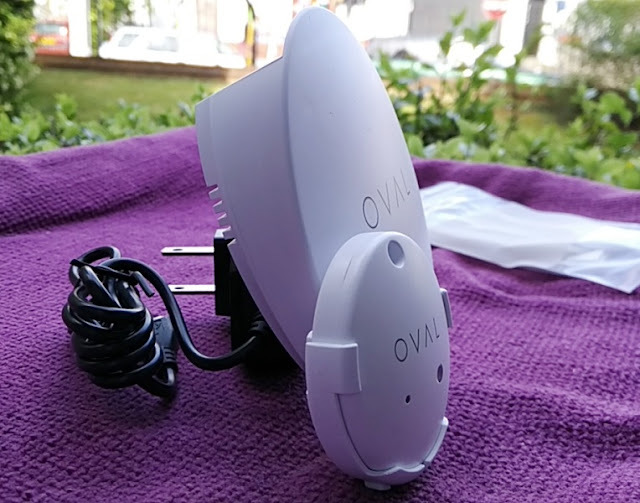 OVAL 2.0 stores the data for 30 days on Amazon Web Services (AWS) IoT Core managed cloud platform. 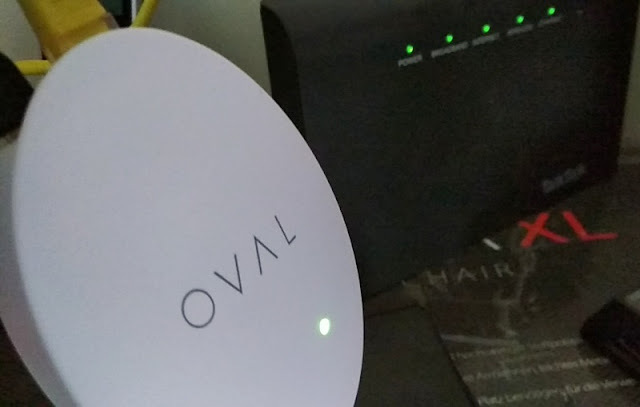 OVAL 2.0 doesn't require to be connected to a smart speaker device but you can integrate it with Amazon’s Echo or Google Home if you want to. 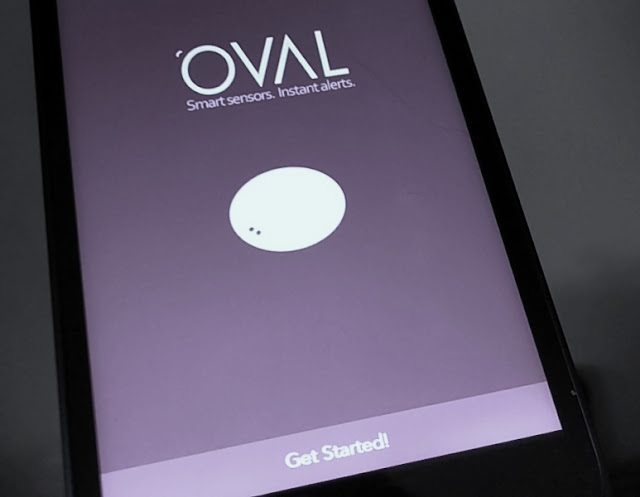 OVAL 2.0 can also integrate with IFTTT and Zigbee as OVAL 2.0 is ZigBee-enabled so OVAL 2.0 can communicate and control other ZigBee-enabled devices. 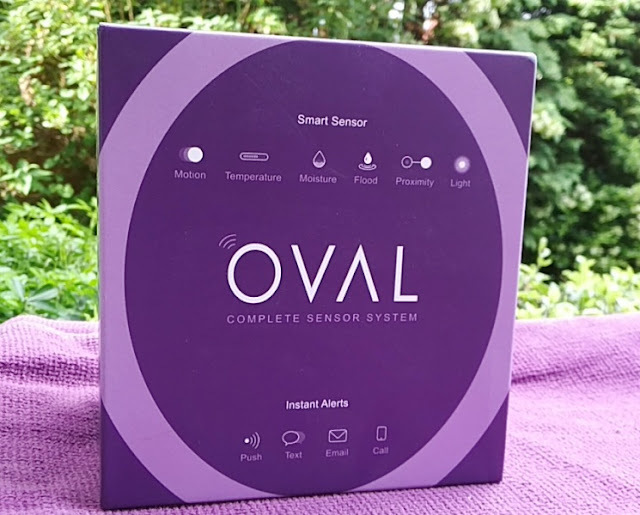 OVAL 2.0 can monitor simultaneously motion, temperature, humidity, light and water, and when it detect changes it sends real-time notification alerts, including push notifications, SMS text alerts, email alerts, buzzer/led light alert and pre-programmed phone call alerts. 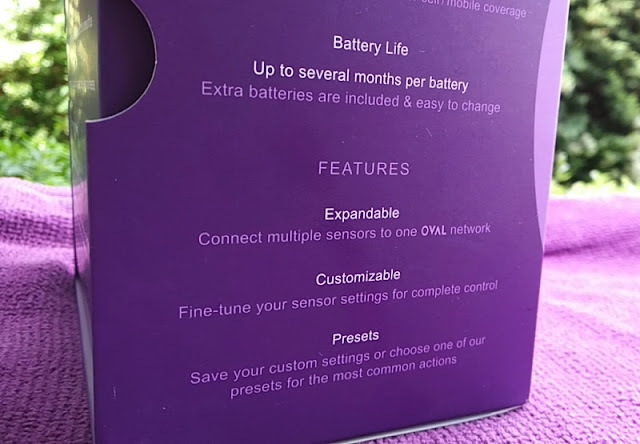 SMS alerts, phone call alerts and email alerts can be set so up to four different contacts can receive the alerts, which is neat. 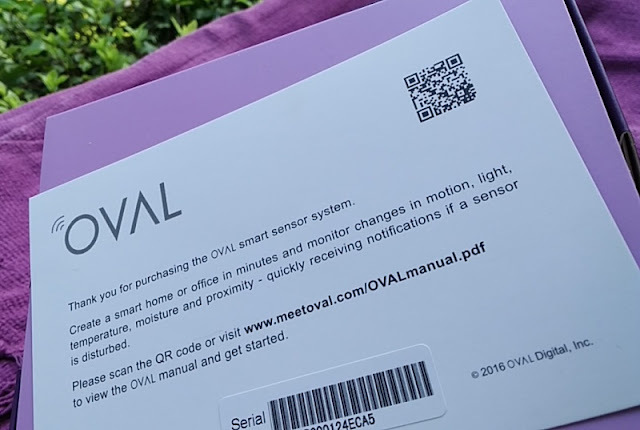 OVAL 2.0 can be set to monitor one or several sensor parameters at the same time and because OVAL 2.0 integrates all five sensors in one device you won't be cluttering your home with multiple devices. 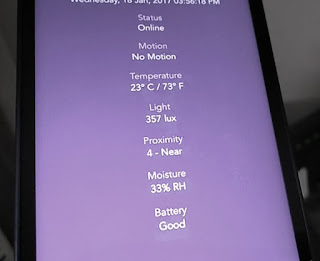 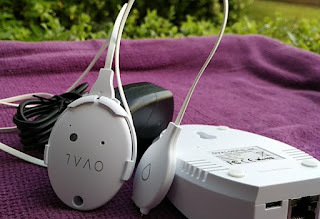 While OVAL 2.0 can sense the environment, it cannot not record video or audio as it has no microphone or camera built-in to it. 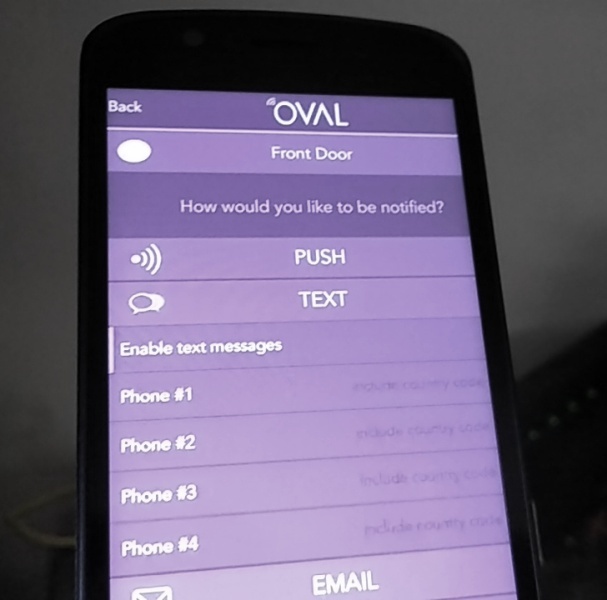 With that said, OVAL 2.0 does feature and LED and buzzer that serve as a visual and audible way for OVAL 2.0 to interact with you. 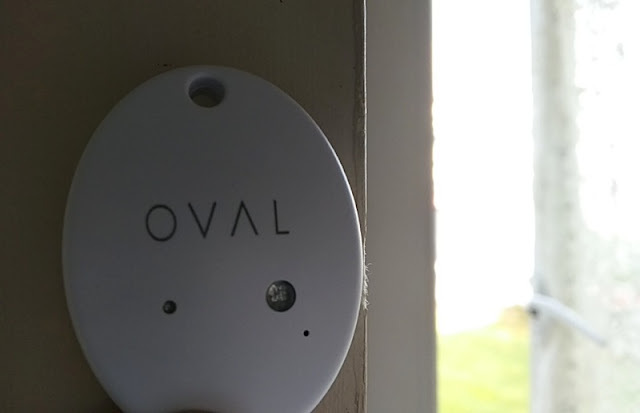 If you already own a home security camera, OVAL 2.0 will be a handy addition. 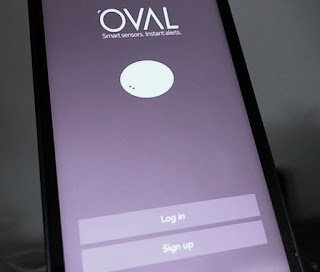 OVAL 2.0 is a stand alone solution so it works by itself without the need of any other third-party smart home products. 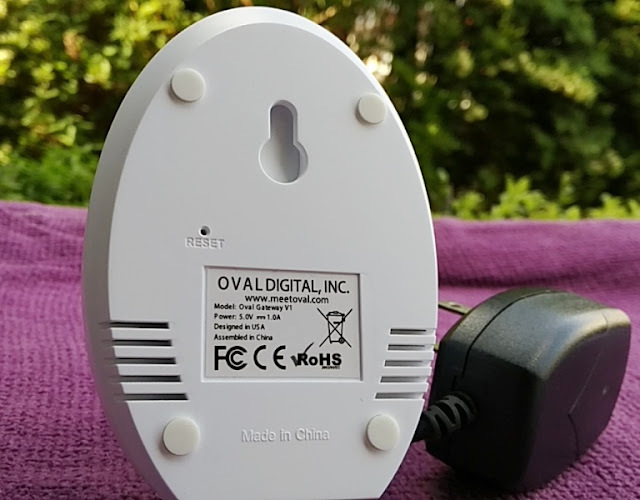 The OVAL wired gateway device (which is included) communicates with the OVAL sensor and relays the sensor data to the accompanying app, called OVAL app (available on Apple and Google app stores). 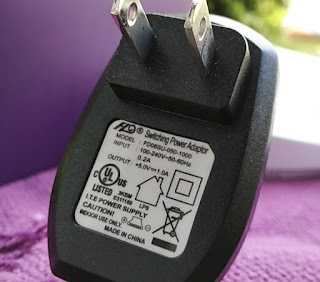 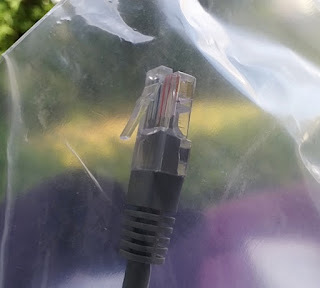 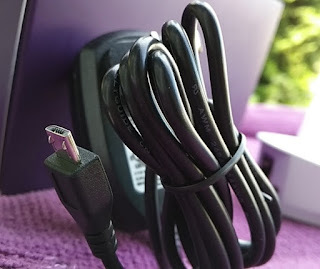 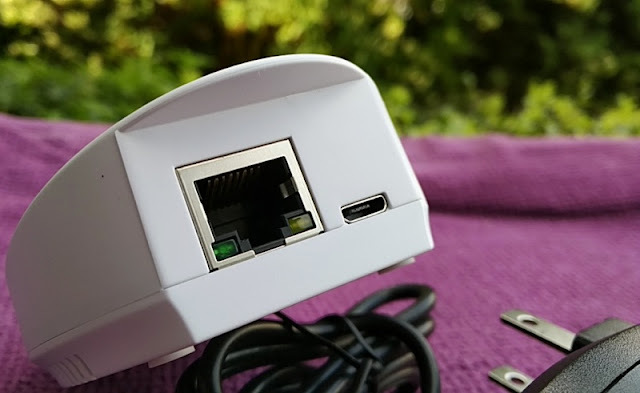 The OVAL gateway requires mains power so it has to be connected to an electrical socket, as well as your router via a wired power adapter and Ethernet cable (both included). 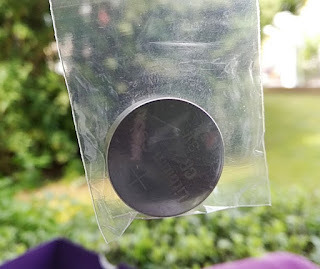 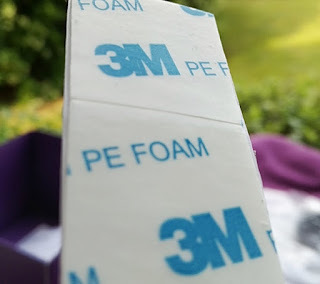 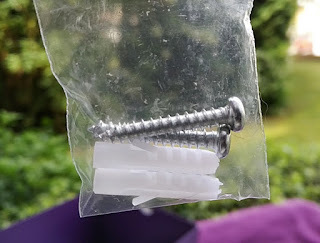 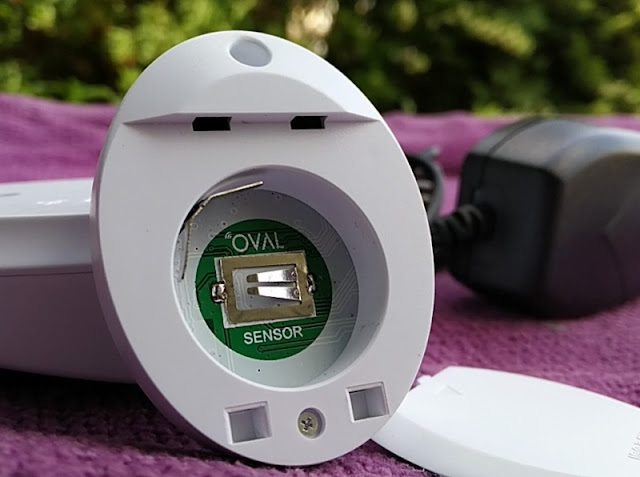 Saying this, the main bit of kit, which is the sensor is wireless and battery-powered so you can place it anywhere without it being tethered to a cable. 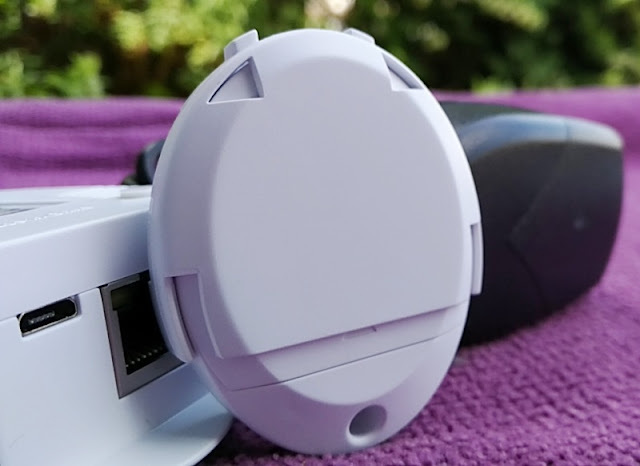 Both the gateway and sensor can communicate at a range of up to 150 feet but you can further extend the range by getting a second or third OVAL gateway which can potentially increase the range up to 500 feet. 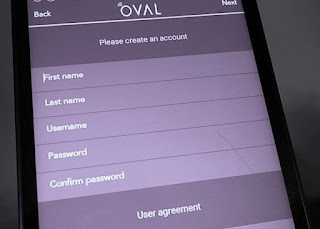 As far as the OVAL app, it is very intuitive. 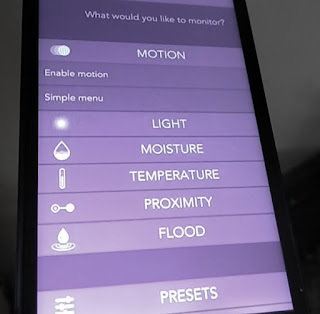 It has a simple user interface that makes the app easy to use and easy to navigate between the different menus. 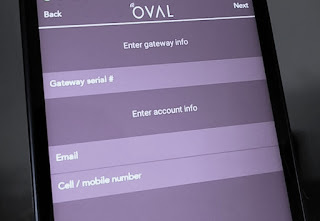 After downloading the OVAL app to your phone, you will need to create an account to sign in and enter the gateway serial number. 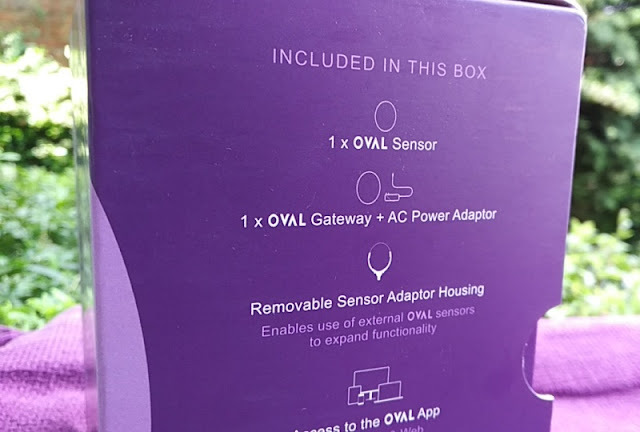 Other accessories that you get with OVAL 2.0 include a 10-inch Ethernet cable, 3M PE FOAM strip, six lithium coin cell CR2477 3V batteries, a removable housing for OVAL sensor and wall screws.